Originated by Florence Shaw of Massachusetts and registered by Paul Aden of New York in 1978, this cultivar is a hybrid of H. 'Flamboyant' × H. 'High Fat Cream' which has green leaves that are streaked in chartreuse, yellow and white. 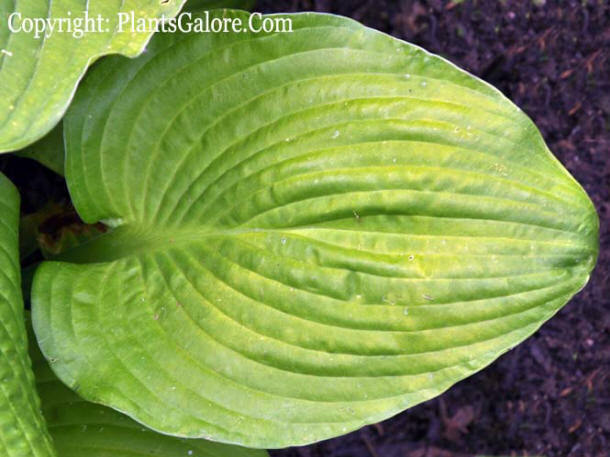 It is a medium size (18 inches high by 20 inches wide) hosta with funnel shaped, pale lavender flowers on a 22 inch scape followed by viable seeds. According to The Hostapedia by Mark Zilis (2009), "As a breeding plant, 'Fascination' ranks as one of the most important cultivars of the last thirty years. Paul Aden, Dr. Ed Elslager of Michigan, Mary Chastain of Tennessee, and others have used it as a pod or pollen parent in developing new variegated varieties." 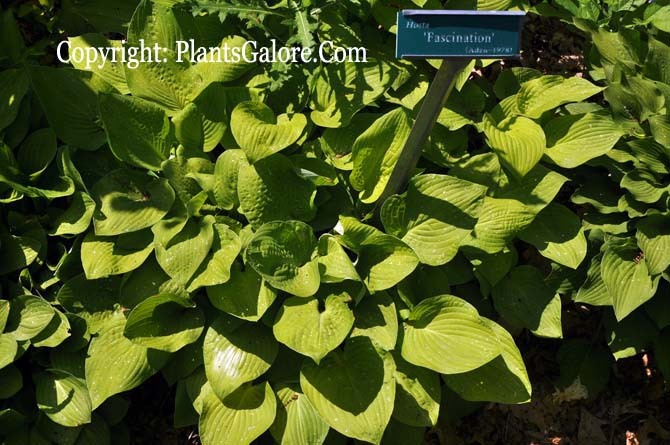 The New Encyclopedia of Hostas by Diana Grenfell (2009) states: "Increases rapidly but is difficult to maintain in its truly streaked form, the plant usually reverting to a marginal variegation if it is not frequently divided. A good breeding plant producing many variegated seedlings."